Do not grow near pine trees! This is cultivated version not wild. Known as an aphrodisiac. Revered by the Chinese culture. Found in the north side of mountains in hollows. 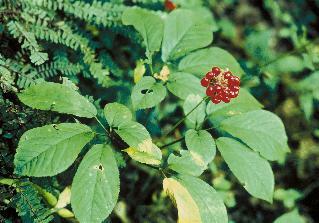 Ginseng is said to be highly good for the metabolism, and promotes general well being. It has a reputation as an aphrodisiac, but this seems to be totally based on the fact that it relaxes the overly tense person a bit. If you suffer from back pain or T.M.J. adding this to a tea of Catnip and slippery elm may help. It is also presumably useable as an ingredient in a meade or magewine. 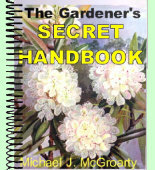 Order and sow in the Fall or Winter. CAUTION: Don't take Ginseng and Ginseng mixtures with Coffee as it will accelerate the caffeine effects on the body and can cause diarrhea.